Ever wanted to take a great course on Jewish culture, history and topical subjects, taught by experts? Well this is it. The VBS College of Jewish Studies offers Jewish adults an experience of university-level learning without homework, tests, sororities or football. Each year a different area of focus is selected, and our Rabbis, along with their guest speakers, provide us with insights and history that is just wonderful. And did we mention the cost - none! Where do we find God in our world? In the beauty and order and majesty of creation? Or in the moral imperative to care, to act and to heal? The search for a sense of God's presence is at the heart of Jewish spiritual life. So many of us have not asked these questions since our childhood. What is a grown-up idea of God? What difference does it make in everyday life? This year, our College of Jewish Studies is devoted to personal theology -- find our way to God. We will explore the ways the historical Jewish tradition understood God -- the Bible, the Talmud, and the mystical tradition. And we will meet contemporary God-thinkers, whose new ideas are startling and deep. Join us Wednesday evenings at 7:00 p.m. for a journey of faith and discovery here at VBS. Rabbi Marc Gellman was the youngest Reform Rabbi ever ordained by the Hebrew Union College, completing the five year program in two years of residency. He holds an earned doctorate from the Department of Philosophy at Northwestern University where he also served as the Hillel Director. He is presently the Rabbi Emeritus of Temple Beth Torah, in Melville New York where he served as senior rabbi since 1981. He wrote “The Spiritual State” a weekly column for Newsweek.com, and now writes “The God Squad” a nationally syndicated column of religious advice for Tribune Media. He teaches at Wilshire Boulevard Temple and interrupts Rabbi Feinstein regularly during his weekly Torah class. Rabbi Gellman served as an adjunct professor of philosophy and theology at the Hebrew Union College Rabbi Gellman has published many scholarly articles in academic journals like The Journal of Current Psychiatric Therapies and The Mount Sinai Journal of Medicine. He has lectured at Duke University, the Harvard Medical School, the Central Conference of American Rabbis, American Jewish University, and many other academic institutions. He delivered the Rudin Lecture at Jewish Theological Seminary. He was the Chairman of the Jewish Medical Ethics Committee of the UJA Federation of New York and was an editor of its compendium of Jewish Medical Ethics. He also writes for Golf Digest and is a member of their ranking panel. In 1987 with Father Tom Hartman, Rabbi Gellman formed “The God Squad”. They appeared regularly as religion correspondents for ABC’s “Good Morning America” and on the Imus in the morning program. They also hosted their own syndicated interfaith cable program and lectured widely. They are the authors of several books including the Christopher Award winning “Where Does God Live?” Their HBO special, “How Do You Spell God?” was awarded the George Foster Peabody Award. The readers of Newsday voted Rabbi Gellman and Monsignor Hartman as the most important leaders and activists on Long Island in the last century. The Touchstone Pictures film, “Keeping the Faith” is based on their friendship. Rabbi Gellman was the President of the New York Board of Rabbis during the 9/11 attacks and delivered one of the three keynote speeches at the “Rally for America” at Yankee Stadium. "The God We Meet in the Bible"
"The God We Meet in the Talmud"
"The God We Meet in Jewish Philosophy"
"The God We Meet in Jewish Mysticism"
Our own beloved Rabbi Feinstein serves on the faculty of the Ziegler Rabbinical School of the American Jewish University, the Wexner Heritage Program, the Shalom Hartman Institute in Jerusalem and lectures widely across the United States. He is the author of several books, including: Tough Questions Jews Ask – A Young Adult’s Guide to Building a Jewish Life, (Jewish Lights, 2003), was chosen for the American Library Association’s Top Ten Books on Religion for Young Readers and a finalist for the National Jewish Book Award. Most recently, Chutzpah Imperative! - Empowering Today's Jews for a Life that Matters (Jewish Lights, 2014), offers a new way to “do Judaism,” Rabbi urges us to recover this message of Jewish self empowerment, or chutzpah, to reshape the world. An engaging lecturer and storyteller, Rabbi Feinstein unites the ancient Jewish love of ideas with the warmth of Jewish humor. This year, Rabbi Feinstein received his Doctorate in Education from the Jewish Theological Seminary (JTS) at Park Avenue Synagogue in New York for his dissertation: Rabbi Harold Schulweis and the Reinvention of the American Rabbinate. Wednesday, October 25 at 7:00 p.m.
"Why Jews Have Survived Through the Ages"
David Myers was the Sady and Ludwig Kahn Professor of Jewish History in the UCLA History Department. This June, he was appointed the new president and CEO of one of the world’s principal centers for Jewish historical research, located in New York City, which conducts scholarly research and provides a home for a range of archival collections. Located in downtown Manhattan, the center — which was founded in 1995 and opened its doors in 2000 — contains more than five miles of archival documents spanning one thousand years of Jewish history. A prolific author, his books include Resisting History — an examination of German-Jewish thought — and Between Jew and Arab — a study of the Polish-Jewish philosopher Shimon Rawidowicz. Myers intends to deepen the research ties between the center and historians in Israel as part of its work in situating the achievement of a Jewish state within the epic sweep of Jewish history. Wednesday, November 1 at 7:00 p.m.
Wednesday, November 8 at 7:00 p.m. Rabbi Klein graduated from Brandeis University with a B.A. in Psychology with a passion for ancient texts, mythology, liturgy and poetry. She received ordination from Hebrew Union College – Jewish Institute of Religion in 1998. She serves as Senior Rabbi at Temple Isaiah in Los Angeles, giving numerous presentations and keynote speakings at various assemblies all over the country. She is a resource for reporters in regional newspapers and has appeared as a commentator on the History Channel in “Digging for the Truth.” Rabbi Klein is a wonderful storyteller and has written multiple novels and short stories. She has also written articles for numerous publications including Harper’s Bazaar, Tikkun, and Torat Hayim. She has written chapters in a number of collections including The Women’s Torah Commentary and Holy Ground: A Gathering of Voices on Caring for Creation. Her poems and prayers are used in houses of prayer around the country. A book of her poetry House Plant Meadow is contracted to be published by David Godine Publishers. Wednesday, November 15 at 7:00 p.m.
Named the most influential Rabbi in America by Newsweek Magazine and one of the 50 most influential Jews in the world by the Jerusalem Post, David Wolpe is the senior Rabbi of Sinai Temple in Los Angeles. He previously taught at the Jewish Theological Seminary of America in New York, the American Jewish University in Los Angeles, Hunter College, and UCLA. A columnist for Time.com, has been published and profiled in the New York Times, the LA Times, the Washington Post’s On Faith website, The Huffington Post, and the New York Jewish Week. He has been on television numerous times, including the Today Show, Face the Nation, ABC this Morning, and CBS This Morning. In addition, Rabbi Wolpe has been featured in series on PBS, A&E, the History channel, and the Discovery channel. Rabbi Wolpe is the author of eight books, including the national bestseller Making Loss Matter: Creating Meaning in Difficult Times. Rabbi Wolpe’s new book is titled, David, the Divided Heart, a finalist for the National Jewish Book Awards. Wednesday, November 29 at 7:00 p.m.
Wednesday, December 6 at 7:00 p.m.
"The Rabbinic Minds: Talmud and Midrash"
Christine Hayes is Robert F. and Patricia R. Weis Professor of Religious Studies in Classical Judaica. Before joining the Yale faculty in 1996, she was Assistant Professor of Hebrew Studies in the Department of Near Eastern Studies at Princeton University for three years. Her published works include several books and many articles in Vetus Testamentum, The Journal for the Study of Judaism, The Harvard Theological Review, and various scholarly anthologies. Hayes’s most recent book, What’s Divine about Divine Law? Early Perspectives, received the 2015 National Jewish Book Award in Scholarship, a 2016 PROSE award for best book in Theology and Religious Studies from the American Publishers Association, and the 2016 Jordan Schnitzer Award from the Association of Jewish Studies. Wednesday, December 13 at 7:00 p.m.
"Rabbi Akiba - The Greatest Rabbi Who Ever Lived​"
Wednesday, January 10 at 7:00 p.m.
"Brave New World -- Jews in the Medieval World"
Wednesday, January 17 at 7:00 p.m.
"The Real Rambam: The Many Faces of Moises Maimonides"
Wednesday, January 24 at 7:00 p.m.
"A Judaism in Color: The History of the Sephardic Community"
Wednesday, January 31 at 7:00 p.m.
"The Explosion: Judaism Meets Modernity"
Wednesday, February 7 at 7:00 p.m.
"Hitler in Los Angeles: How Jews Foiled Nazi Plots Against Hollywood and America"
Wednesday, February 14 at 7:00 p.m.
"Israel at 70: The Price and Prospects of Jewish Sovereignty"
Wednesday, February 22 at 7:00 p.m.
Dr. Sivan Zakai's areas of expertise include curriculum, history education, and the teaching of Israel. Dr. Zakai is also an Affiliated Scholar at the Mandel Center for Studies in Jewish Education at Brandeis University. She recently launched the AJU Teaching Israel Fellowship, a year-long course of study for exemplary educators who teach about Israel in Jewish educational settings. She is the senior researcher on the Children’s Learning About Israel Project, a longitudinal study of how American Jewish children think about Israel. She coaches organizations and educators seeking to improve their Israel education practice, and serves on the advisory board of multiple Israel education organizations. She earned her Ph.D. in Education and M.A. in History from Stanford University. She has taught in a variety of Jewish educational settings including day schools, supplementary schools, and camps. Dr. Zakai is an alumnus of the Wexner Graduate Fellowship and a recipient of the Network for Research in Jewish Education’s Research Award. Rabbi Aaron Lerner is passionate about creating inclusive and empowered Jewish community. He believes that Jewish tradition enriches and informs every aspect of life, and particularly enjoys encouraging college students to apply Jewish values as they grapple with life’s major questions during their most formative years. Over the past four years at Hillel at UCLA, Rabbi Aaron Lerner has helped expand Hillel’s leadership training program to include approximately 150 student leaders who reach nearly 1,700 Jewish students every year at UCLA. He has also played a key role in Israel advocacy and education on campus and in the national arena. A Wexner Graduate Fellow, Aaron received ordination from Yeshivat Chovevei Torah with an emphasis in education. "From the Hilltops of Judaea to the Bars of Tel Aviv: Israeli Literature in the 21st Century"
Rabbi Miriyam Glazer, Ph.D., is multi-faceted Jewish spiritual and intellectual leader, a literary scholar, lecturer, translator, and writer. Her first book, Burning Air and a Clear Mind, pioneered the translation of Israel’s women poets into English. She has also authored Dancing on the Edge of the World: Jewish Stories of Faith, Inspiration and Love; Dreaming the Actual, a collection of contemporary Israeli women’s poetry and fiction; The Bedside Torah, with Bradley Artson, and, most recently, the highly praised translation and commentary, Psalms of the Jewish Liturgy: A Guide to their Beauty, Power, and Meaning. As a dedicated foodie, she also co-authored The Essential Book of Jewish Festival Cooking with her sister, Israeli food guru Phyllis Glazer. Emerita Professor of Literature at American Jewish University where she chaired the Literature, Communication and Media Dept. for over 25 years, Rabbi Glazer has published many essays and articles and has lectured throughout the United States as well as in Israel, Denmark, and Finland. She been a Visiting Scholar at USC, UCLA, and the Hebrew University of Jerusalem, and has been awarded grants by the National Institute of Humanities, Hadassah Brandeis Institute, and the Memorial Foundation for Jewish Culture. She served as an AJWS Global Justice Fellow, a Greenfaith Fellow, a Woodrow Wilson Fellow and a Hirschfield Fellow in the Humanities. Wednesday, February 8 at 7:00 p.m.
Sam Grundwerg is the senior representative of the State of Israel to the Southwestern United States. Immediately before becoming Consul General, Mr. Grundwerg served as Director General in Israel for the World Jewish Congress (WJC). Before joining the World Jewish Congress, Consul General Grundwerg worked as an attorney at a major international law firm in the United States and held positions in the fields of law and finance in the U.S. and Israel. He earned his Juris Doctor degree from the University of Miami School of Law and holds an M.B.A. in finance from the University of Miami School of Business, as well as an undergraduate degree from Bar Ilan University. Originally hailing from Miami Beach, Florida, Grundwerg made Aliyah to Israel in 1990 where he served as a combat soldier in the IDF armored corps, and later in the IDF reserves as a casualty officer. Wednesday, February 1 at 7:00 p.m.
Yuval Ron's most notable composition is music for the Oscar-winning short film West Bank Story (2007). His world music group, The Yuval Ron Ensemble, focuses on peace issues and interfaith dialogue and tours internationally. Yuval Ron also lectures at major universities on the subjects of sacred Middle Eastern music, spiritual foundations of creativity, and the impact of sound on healing. Click here to learn more. Wednesday, January 25 at 7:00 p.m.
Dr. Amir Hussain is Professor of Theological Studies at Loyola Marymount University in Los Angeles, where he teaches courses on world religions. His own particular speciality is the study of Islam, focusing on contemporary Muslim societies in North America. His academic degrees (BSc, MA, PhD) are all from the University of Toronto where he received a number of awards, including the university’s highest award for alumni service. He has a deep commitment to students, and holds the distinction of being the only male to serve as Dean of Women at University College, University of Toronto. Before coming to California in 1997, Amir taught courses in religious studies at several universities in Canada. He is active in academic groups such as the Canadian Society for the Study of Religion and the American Academy of Religion. He is on the editorial boards of three scholarly journals, the Journal of Religion, Conflict and Peace; the Ethiopian Journal of Religious Studies; and Comparative Islamic Studies. Amir is also interested in areas such as religion and music, religion and literature, religion and film and religion and popular culture. 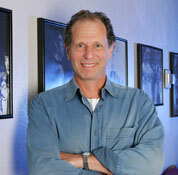 In 2008, he was appointed a fellow of the Los Angeles Institute for the Humanities. Sunday, January 22 at 3:00 p.m.
Dr. Micah Goodman is a leading voice on Judaism, Zionism, the Bible, and the challenges and opportunities facing Israel and contemporary world Jewry. He is the author of three Israeli bestsellers on canonical Jewish texts: Moses’s Final Speech, The Dream of the Kuzari, and The Secrets of the Guide for the Perplexed, all published in Hebrew by Kinneret Zmora-Bitan Dvir. Maimonides and the Book that Changed Judaism, published by JPS and the University of Nebraska Press in 2015, has endorsements by Rabbi Lord Jonathan Sacks and former Israeli President Shimon Peres. Dr. Goodman was one of two recipients of the Marc and Henia Liebhaber Prize for Religious Tolerance in 2014, along with leading Israeli musician Ehud Banai. Dr. Goodman directs Ein Prat – The Midrasha, Israel's leading pluralistic Beit Midrash for young adults, which nurtures connections between Israelis of different backgrounds and builds a bridge between Israeli young adults and their Diaspora peers. 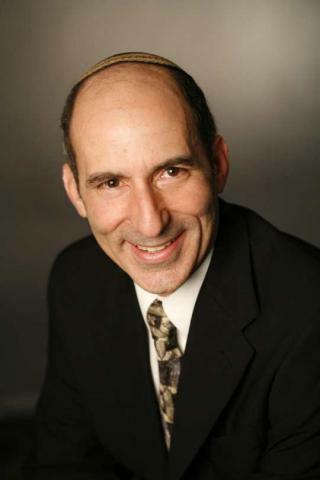 Dr. Goodman has a doctorate in Jewish Thought from The Hebrew University of Jerusalem and teaches at his alma mater. He is a member of the recently formed Global Forum of the National Library of Israel. Wednesday, January 18 at 7:00 p.m.
Steven W. Popper is a senior economist at the RAND Corporation and a professor at the Pardee RAND Graduate School. As associate director of the RAND Science and Technology Policy Institute (1996–2001), Popper provided research and analytic support to the White House Office of Science and Technology Policy and other agencies of the Executive Branch. His current work is on science and technology policy, socio-economic long-term strategy, energy, decisionmaking under uncertainty, and security planning. He coauthored the flagship study of the RAND Pardee Center for Longer Range Global Policy and the Future Human Condition, Shaping the Next One Hundred Years: New Methods for Quantitative, Long-Term Policy Analysis (2003), which provides a new methodological framework for decisionmaking under deep uncertainty that has been applied to an expanding set of policy issues. His research also focuses on regional economic development and international economics. He has served as a consultant to the World Bank and OECD. He is past chair of the Industrial Science and Technology section of the American Association for the Advancement of Science, and serves as an external advisor to the Ohio State Battelle Center for Science and Technology Policy, the Shoresh Institution and the Israel Innovation Policy Institute. Wednesday, January 11 at 7:00 p.m.
“Zionism Unsettled and Resettled in a Fractured Israel, 1967-2017"
Yoav Ben-Horin is the proverbial wandering Jew: Born in Manhattan, arrived in Israel from Turkey at the age of four, spent half his youth in Burma (where he learned English) and Venezuela, before returning to Israel and serving in the IDF for 3 and 1/2 years. After completing his service as Lieutenant, Yoav studied the Middle East at Oxford and Harvard. 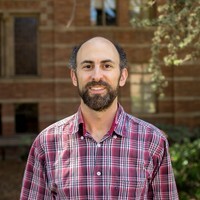 Yoav joined the Rand Corporation in Santa Monica to work for a decade on a wide range of foreign policy and security issues ranging from non-nuclear strategic weapons and U.S. Airforce strategies in the Pacific to Israel's Strategic Doctrine and methods to assess military balances in the Middle East. In the 90's he was the Associate Director of the Wilstein Institute of Jewish Policy Studies. Finally, in his dotage, Yoav discovered the passion and purpose of his life -- giving teenagers a hard time by confiscating their iPhones while chasing them around the Jewish world in Israel, South America and Europe as Director of Global Jewish Education at de Toledo High School. As of last week, his prescriptions are covered by medicare. "Jewish Power, Jewish Responsibility and Jewish Fear in the Age of Trump"
Peter Beinart is Associate Professor of Journalism and Political Science at the City University of New York. He is also a Contributor to The Atlantic and National Journal, a Senior Columnist at Haaretz, a CNN Political Commentator, and a Senior Fellow at The New America Foundation. His first book, The Good Fight, was published by HarperCollins in 2006. His second book, The Icarus Syndrome, was published by HarperCollins in 2010. His third, The Crisis of Zionism, was published by Times Books in 2012. Beinart has written for the New York Times, the Wall Street Journal, the Financial Times, the Boston Globe, the Atlantic, Newsweek, Slate, Reader’s Digest, Die Zeit, Frankfurter Allgemeine Zeitung, and Polity: the Journal of the Northeastern Political Science Studies Association. The Week magazine named him columnist of the year for 2004. In 2005, he gave the Theodore H. White lecture at Harvard’s Kennedy School of Government. He has appeared on “This Week with George Stephanopoulos,” “Charlie Rose,” “Meet the Press,” “The Colbert Report” and many other television programs. Beinart also served as the editor of The New Republic from 1995 to 2006.
" Jewish Aspirations and Israeli Reality"
Dr. Tal Becker is a fellow at the Shalom Hartman Institute in Jerusalem and a leading member of the Institute's iEngage Project. He serves as principal deputy legal adviser at the Israeli Ministry of Foreign Affairs, and is a senior member of the Israeli peace negotiation team. He is on the front lines of many of Israel's most pressing diplomatic, legal and policy challenges and is a veteran negotiator, and key behind the scenes representative, for Israel in a wide variety of contexts. Dr. Becker has been a senior fellow at the Washington Institute for Near East Policy, senior policy advisor to Israel's Minister of Foreign Affairs, a lead negotiator and drafter in the Annapolis peace talks, director of the international law department at the Israeli Foreign Ministry, counsel to Israel's UN Mission in New York, and an international law expert for the Israel Defense Forces. He is the author of Terrorism and the State, which won the Guggenheim Prize for best international law book, and has served, among numerous positions, as the Vice-Chairman of the United Nations General Assembly's Legal Committee, the first Israeli to hold a position of this stature in over 40 years. Find articles by Tal Becker on the Shalom Hartman Institute website. "Peace Negotiations: A Playbook for the New Administration"
Debra DeLee is a leading figure in the pro-Israel, pro-peace American Jewish community who has held top positions in the American political world. She regularly travels to Israel for meetings with Israeli and Arab leaders, including heads of state, and just this month participated on such a visit to Israel and Palestinian areas in the West Bank. Prior to joining APN, DeLee served with the Democratic National Committee (DNC) as Executive Director, and was appointed by President Clinton to be DNC Chair and then CEO of the 1996 Democratic National Convention. Lara Friedman is widely recognized as a leading authority on US - Israel and US - Middle East foreign policy. A former U.S. Foreign Service Officer, Friedman served in Jerusalem and several other Middle East countries. She frequently publishes opinion and analysis pieces in the U.S. and Israeli press, and was listed as one of 9 Must-Read Female Pundits on the Middle East in the Jewish Daily Forward Newspaper. Friedman is a highly requested speaker at policy, academic, and community forums across the US and Internationally, and in October, 2016, she provided the Americans for Peace Now testimony to a UN Security Council special session on Israeli Settlements. "Behind the Headlines: A View from the Palestinian Street"
Khaled Abu Toameh, an Israeli Arab, is a veteran award-winning journalist and documentary filmmaker. 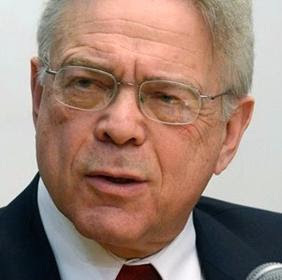 He is the West Bank and Gaza correspondent for the Jerusalem Post and U.S. News and World Report, and has been the Palestinian affairs producer for NBC News since 1988. Abu Toameh is a distinguished senior fellow at the Gatestone Institute and his articles have appeared in numerous newspapers around the world. "Making David into Goliath: How the World Turned Against Israel"
Joshua Muravchik, a Distinguished Fellow at the World Affairs Institute, is the author of hundreds of articles appearing in all major U.S. newspapers and intellectual magazines, as well as ten previous books including Heaven on Earth: The Rise and Fall of Socialism; Exporting Democracy: Fulfilling America's Destiny;Traiblazers of the Arab Spring: Voices of Democracy in the Middle East; andLiberal Oasis: The Truth About Israel. Click here to read more about Muravchik's professional biography on Wikipedia. Yoav Ben-Horin is the proverbial wandering Jew: Born in Manhattan, arrived in Israel from Turkey at the age of four, spent half his youth in Burma (where he learned English) and Venezuela, before returning to Israel and serving in the IDF for 3 and 1/2 years. After completing his service as Lieutenant, Yoav studied the Middle East at Oxford and Harvard. Yoav joined the Rand Coporation in Santa Monica to work for a decade on a wide range of foreign policy and security issues ranging from non-nuclear strategic weapons and U.S. Airforce strategies in the Pacific to Israel's Strategic Doctrine and methods to assess military balances in the Middle East. In the 90's he was the Associate Director of the Wilstein Institute of Jewish Policy Studies. Finally, in his dotage, Yoav discovered the passion and purpose of his life -- giving teenagers a hard time by confiscating their iPhones while chasing them around the Jewish world in Israel, South America and Europe as Director of Global Jewish Education at de Toledo High School. As of last week, his prescriptions are covered by medicare.